For a service that was forecast by Gartner (News – Alert) last year to be part of a more than $2 billion market segment by 2011, SIP trunking remains one of those technical phrases used in vendor circles that is marched out with pride to prospective distributors and customers and received by the marketplace with bewilderment. SIP trunking – despite the name – can be a valuable service alternative for many enterprises, and we will do our best to dispel the confusion. The same draft also describes SIP trunking in more mainstream circles as a service for enterprises that allows connection to the PSTN as a displacement for circuit-based connections, and as a replacement for costly leased lines connecting distributed telephone systems within an enterprise. So let’s cut through the mystery and confusion. SIP trunking, simply put, is a way for organizations to accomplish something that they already do, but for less money, with equal or better quality, and with greater functionality. It is also a way for enterprises that were too small and could not afford leased line services to achieve comparable benefits as the big boys but for much more attractive fees than previously. All of this is now achievable because of the underlying packet-switched technology of the Internet as opposed to circuit-switched architecture from the past. SIP is simply the framework that vendors and service providers have agreed to use to accomplish the completion of telephone calls and much more. Another challenge is that SIP trunking providers differ from one another, and can roughly be grouped in the following three categories: SIP trunks via dedicated lines, SIP trunks in conjunction with hosted services, and pure SIP trunking providers. The first group – SIP trunks via dedicated lines – includes all of those service providers that require a T-1, PRI, DSL, or other similar “circuit” for utilization of their services. Given that our definition earlier for SIP trunking was the elimination of dedicated circuits and their associated costs, this group seems to be a hybrid of past and present. The advantage offered by this group is that they can control the quality of the service from the enterprise into their network. When Internet telephony was in its infancy, this was beneficial to those organizations that could afford leased lines. Today, Internet telephony via SIP continues to achieve outstanding quality, bringing into question the value of a leased connection. Additionally, SIP trunk providers requiring a leased line for access are inherently limited in service delivery regions by the availability of such circuits. That is not the case for SIP trunk providers that can use any broadband connection to the enterprise. The second group provides SIP trunks as an adjunct to the delivery of hosted IP PBX (News – Alert) or other comparable services. 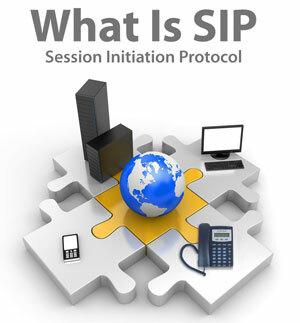 SIP trunking is secondary. Whereas SIP trunks may be quite beneficial to organizations with legacy telephone systems, this group of providers is oftentimes most interested in displacing the existing system. Furthermore, these service providers may not be able to provide services in widely dispersed geographic areas due to the deployment and scalability of their systems. The last group – pure SIP trunk providers – has created underlying network architectures that are focused on the delivery of SIP trunking. These organizations do not compete with premises equipment implementations or providers, do not require a dedicated circuit, generally cover a wide range of locations, and are focused on delivery of excellent quality and value. SIP trunking may not be a great service name but it is, without question, a great service with significant benefits for many enterprises worldwide. Joel Maloff (News – Alert) serves as Vice President of Marketing for BandTel, and is responsible for creation of the product and services roadmap, marketing documentation, and communications with customers, prospects, and the industry at large. A frequent speaker at industry conferences, he has authored four books and numerous articles on Internet, business applications for Internet, network security, and international Internet development. He has also served as advisor to former Senator Al Gore and Senator John Kyl on Internet-related issues.